This is such a cute toy duck! The lights, the music and the bump and go feature make this a fantastic toy for a toddler. Best Choice Products is proud to present this new amusing toy duck. 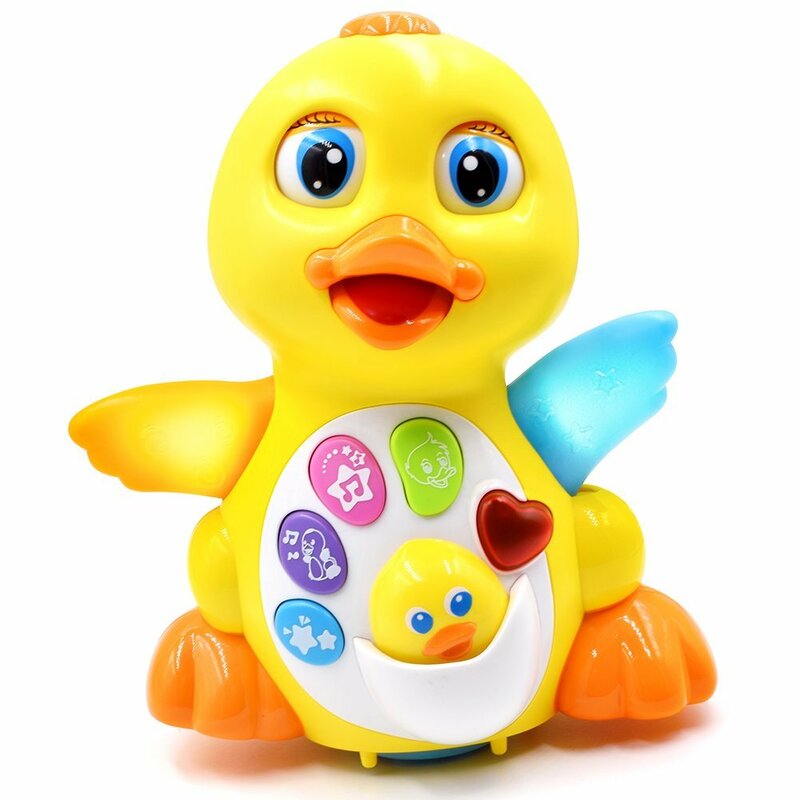 The duckhas a button on top of its head that when pushed, it will trigger the bump andgo motion within the toy, it will sing a fun sing-a-long tune, flap, and lightup its wings. The music and bright colors are fun and appealing, but the toyalso comes with five different buttons. One is a sound effect that imitates aduck sound, there is a song button, a melody button, a button that allows theduck to talk, and a heart button that make a warm heart thumping sound. Theduck also has a little baby duckling that, if pushed it will quack like aduckling and light up it mom's wings. All of these sounds are fun to hear andsing with, but in case a silent environment is needed, the sound can beadjusted to mute, low, or regular. We purchase our products directly from themanufacturer, so you know you're getting the best prices available. NEWPRODUCT WITH FACTORY PACKAGING. FEATURES: Bump and Go Action, Wings flap andlight up when music begins, Lights, Music, and Talks (Adjustable Volume),Buttons on duck imitate duck sound and sing a tune when pushed, 3AA batteries.